No big decision is taken without preparation and time spent looking for the best offer. Outdoor sauna is not an everyday purchase, therefore a lot of things have to be taken into consideration, and the price is one of them. In order to help you understand the prices going on the market right now, the beginning of 2018, we decided to do a little comparison of the most similar product that we found -outdoor barrel sauna. Take a look at this table, and let’s discuss it below. As you can see there are some differences in the configuration as well as in the price. As not all of the compared companies deliver unassembled saunas, we took the assembled sauna as an example, so the final calculated price is for the already built outdoor barrel sauna. However, it is necessary to mention that two companies, TimberIN and Garden wellness 24, offer sauna as a kit, flat packed which, most of the time, is less expensive. We tried to make the configuration as similar as possible, however, Sauna&Badetonne produce saunas only from thermowood, Garden wellness 24 only from spruce, and even though TimberIN and Royal Tubs have both and more, we had to select one of them, to be able to compare the prices. As we have chosen spruce, the least expensive variant, please note that saunas from thermowood are more expensive, so the comparison is not that accurate. Almost all of the compared outdoor barrel saunas are of the same size, length, and diameter, only Sauna&Badetonne offers a little bit smaller one. All companies offer electric and wood burning heaters, small windows at the back and a porch. However, the size of the porch is different, for example, Royal Tubs provides a two meters porch option, but as in all cases, the porch’s length is included in the total length. Two meters porch or changing room usually is recommended for bigger, 4 or 5 meters saunas, but there was no 1-meter option on the website. For a 3 meters sauna, 1 meter of changing room or terrace is definitely enough. Three out of four companies apply the wood treatment, whereas Garden wellness 24 does not have this option, or at least it cannot be chosen on the website when selecting the features. Usually, shipping is calculated separately for the exact location, and only Sauna&Badetonne has a precise price for the whole United Kingdom. Window (If ordered) a small window in the back A small window in the back. 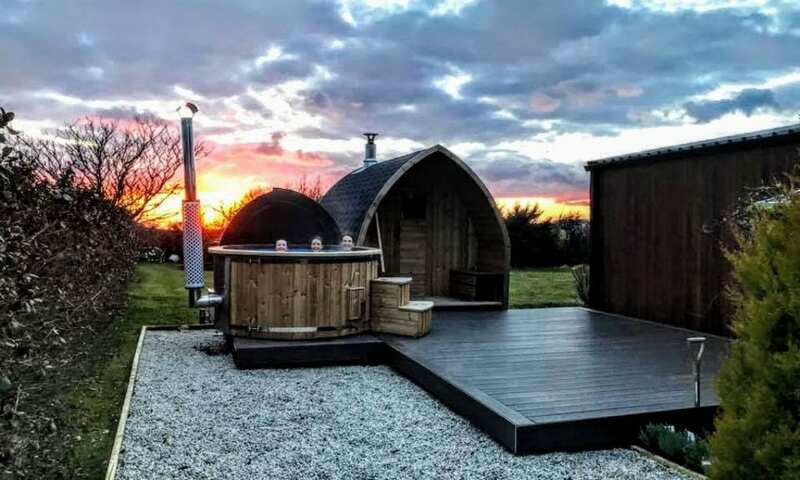 To conclude, we would like to say that the intention of this article was to overview the prices on the outdoor barrel saunas market and to advise those looking for the best offer. Our opinion is based on the companies’ websites on 22nd January 2018, without placing an actual quotation. The more information you can get on our articles below!